Having been in the business for over 10 years we have learned what is important to our customers and we are able to deliver it. Damage free towing is ultimately what everyone is looking for. No one wants to worry about the well-being of their vehicle when it’s being towed. Our trucks have low profile beds with custom built aluminum rollback features. This means your vehicle will be loaded up on a lower incline, eliminating dragging and scraping of bumpers, exhausts and body panels. Once your vehicle is on the bed we use soft touch nylon straps around all wheels to make sure the vehicle is safely locked in place while it is being transported. 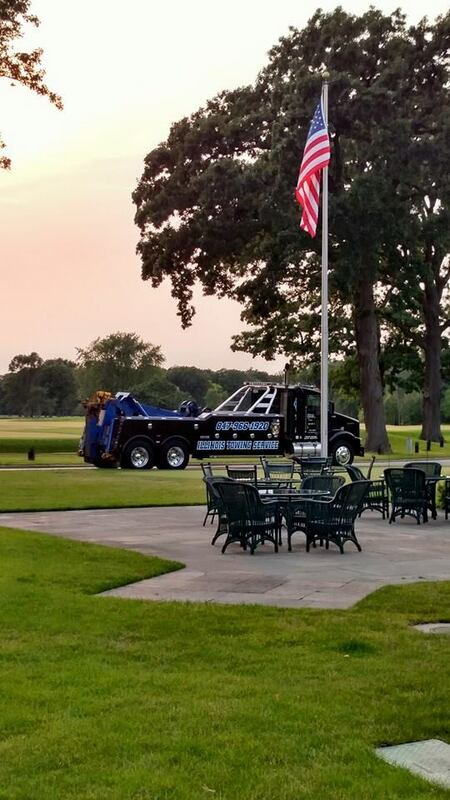 Heavy Duty Towing is our speciality at Illinois Towing Service. We have heavy duty wreckers/wheel-lifts to handle all types of towing situations. If you have a truck, tractor or tractor/trailer we’ve got you covered. Illinois Towing Service has just the right mix of equipment to handle any situation that may come up. If not, we’ll steer you in the right direction. Unfortunately, machines do fail! If you can’t move it yourself, give us a call–we’ll be happy to assist.